Let’s spend out time outdoor as much as possible during summer. 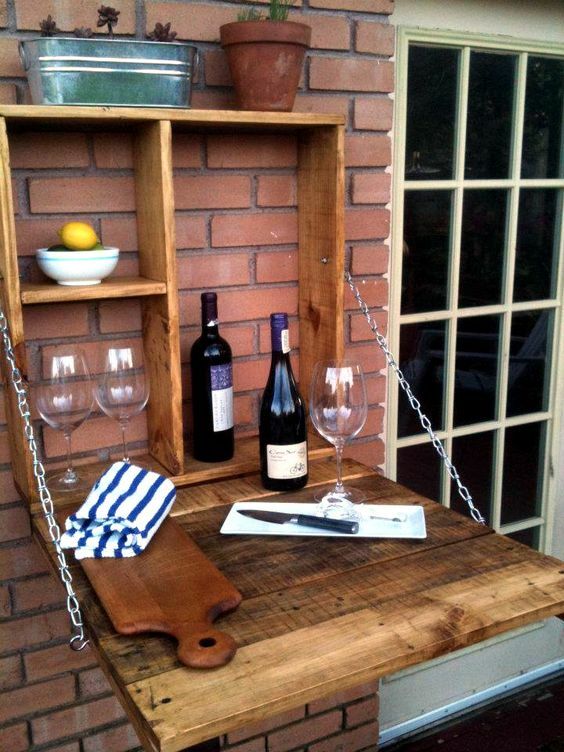 If you have an outdoor space- large or small one, let’s make an outdoor bar. You can go or a murphy’s bar or a simple outdoor bar. 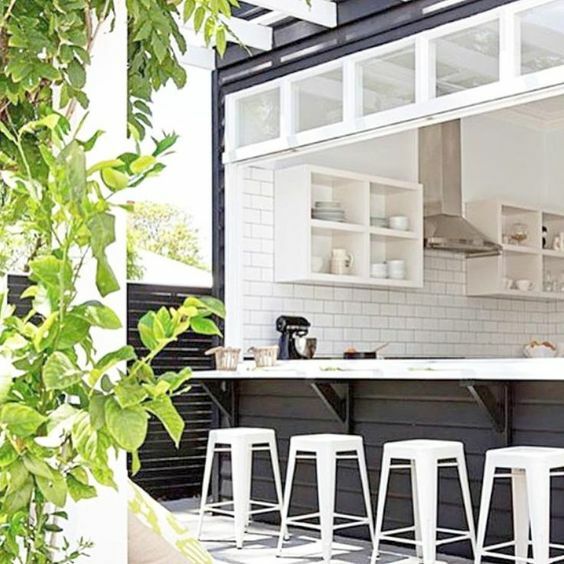 Check out these 8 smart bar designs for outdoor space below to inspire you. 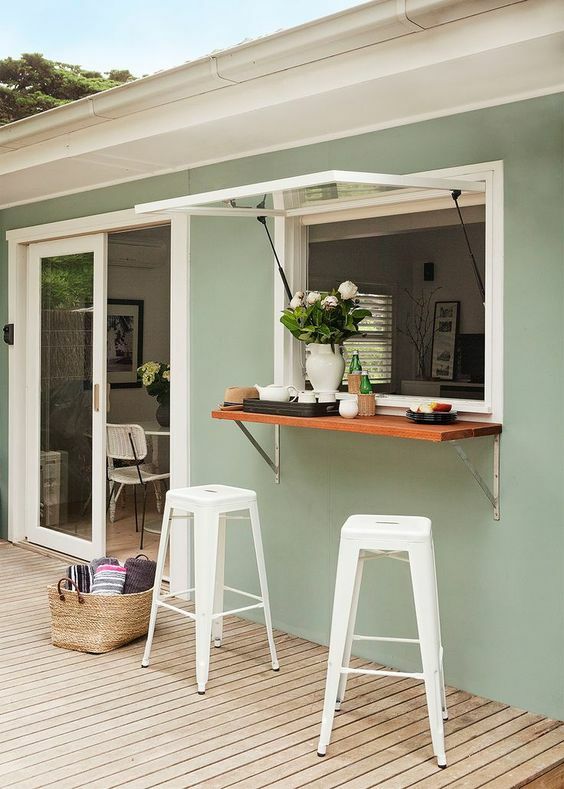 If you have small space to make an outdoor bar, a large sliding window can be a great idea to consider. A kitchen pass through is fitted with glass folding windows fitted with a black bar lined with black stools. 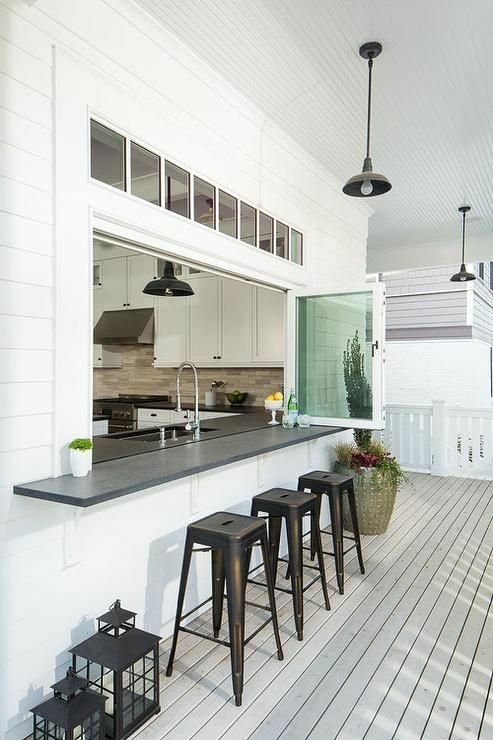 A small bar counter and a window to the kitchen with a comfy stools to enjoy drinks with friends during summer. Cool! 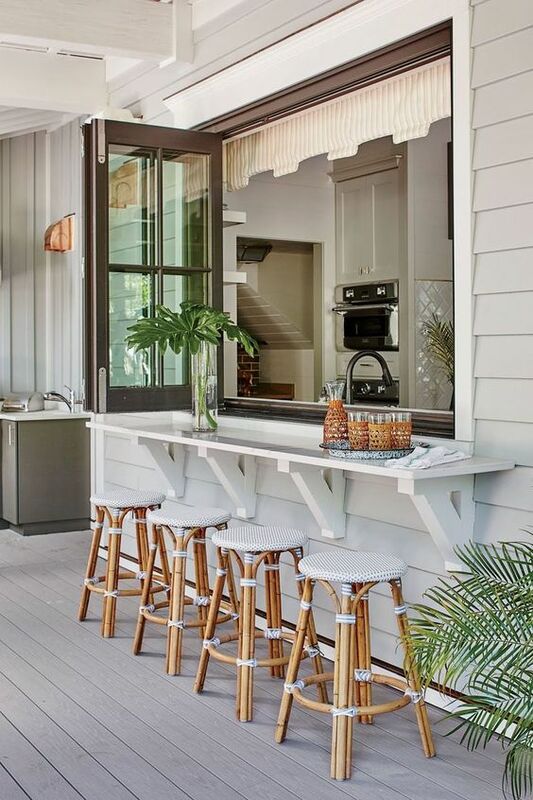 A folding window, a white bar counter and tropical stools of rattan and with upholstery for a tropical-themed outdoor bar that is so perfect for your summer outdoor activity. 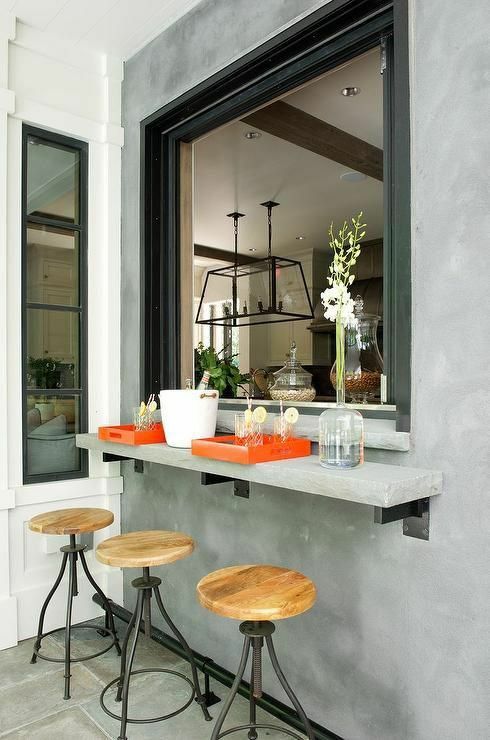 Attach a concrete windowsill outdoors and use the kitchen window to serve drinks for your guests. A foldable hanging bar won’t take much space in your outdoor space. And the great thing about it is that it can be hidden any time. 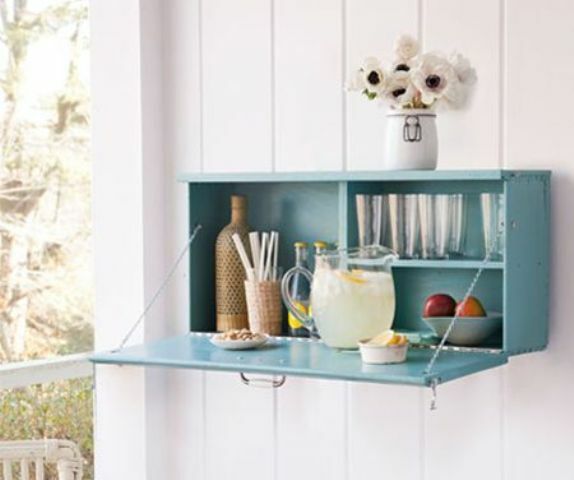 This simple drop-down garden drinks bar is can be easily to make and it is perfect for a hot summer night. 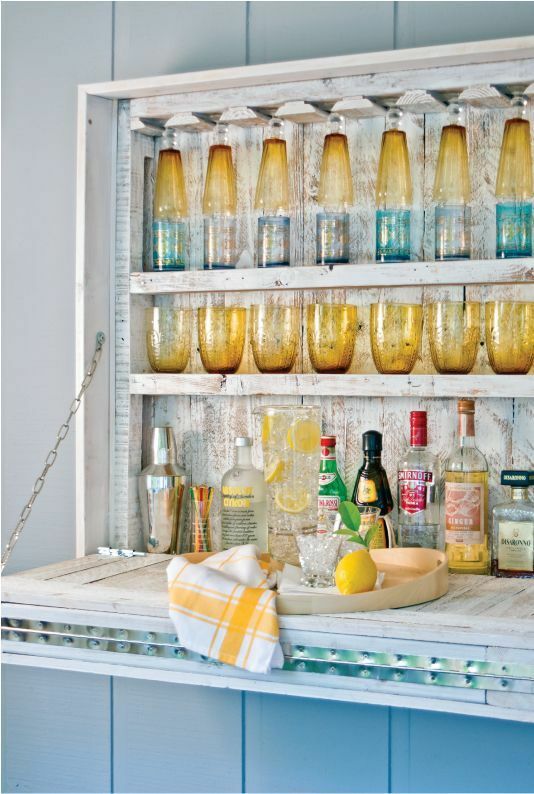 An outdoor foldable beachy bar of whitewashed wood with colorful glasses for a relaxed beach-inspired space.